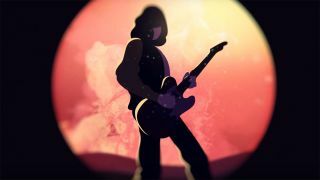 Fender have released an animated video telling the story of Jimmy Page’s iconic 1959 Telecaster. Recreations of both the ‘Mirror’ and ‘Dragon’ versions of the instrument were announced in November last year – with the eye-catching video created by Nexus Studios launched to announce that both are now on sale. Page says: “I got to the point where I wanted to consecrate this guitar and really make it my own. In The Yardbirds, I was having to build my own identity within that group. “I tried applying mirrors to it so you could use it in an optical way with the lights and shine the mirrors on people while you were playing. Fender's global brand creative vice president Jeremy Taylor adds: “Our journey with Jimmy Page has been quite special – we embraced it as an opportunity to do something transformative. “Even before meeting him, we knew we wanted to create a piece of compelling, entertaining branded content that complemented his musical journey with the guitar. The limited edition Jimmy Page Telecaster set – Mirrored and Dragon – are available now for £23,259, while the standard Mirrored Telecaster costs £2349. The Jimmy Page Telecaster will be available later this summer for £1259.